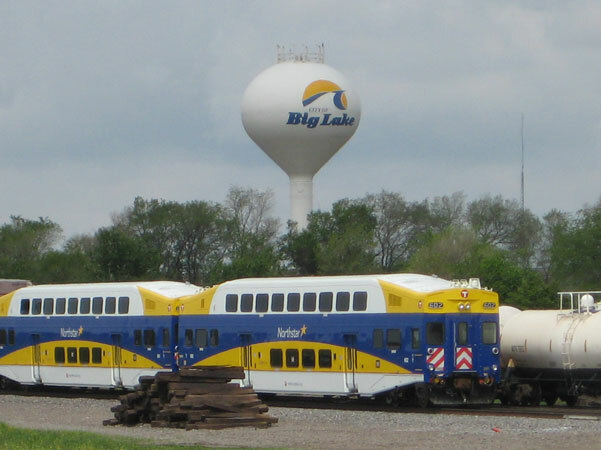 Commuter rail service between Big Lake and Minneapolis began today. Each coach car has seating for 140 seats, but holds a maximum 330 riders. The goal is to have a daily ridership of 3,400 in the first year. NorthstarLink (St. Cloud Metro Bus), which are commuter coach buses, also started service between St. Cloud and the Big Lake Station. This is the first daily transit option between St. Cloud and Minneapolis. 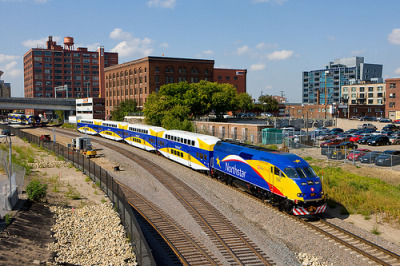 Eventually the Northstar commuter line will reach St. Cloud. I believe I watched a Dirty Jobs episode where Mike Rowe did a segment for this train.